August | 2011 | 50 Westerns From The 50s. 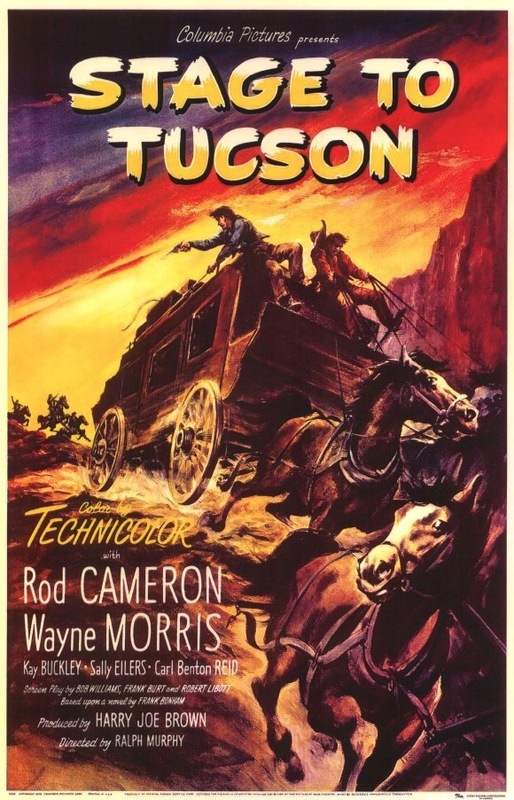 In a recent comment, John Knight mentioned Stage To Tucson (1950), a Rod Cameron picture produced by Harry Joe Brown and shot in the Alabama Hills. Reminded me of its gorgeous poster art. Wonder who painted that one? Strother Martin On John Ford. We’re almost two years into this blog, and Strother Martin still hasn’t made an appearance. We can’t have that, can we? Here he talks about his experience with John Ford (from Bad At The Bijou by William R. Horner). Director Robert Wise’s first picture after leaving RKO — where he’d edited Citizen Kane (1941) and directed Blood On The Moon (1948), among many other wonderful things — was Two Flags West (1950) for 20th Century-Fox. 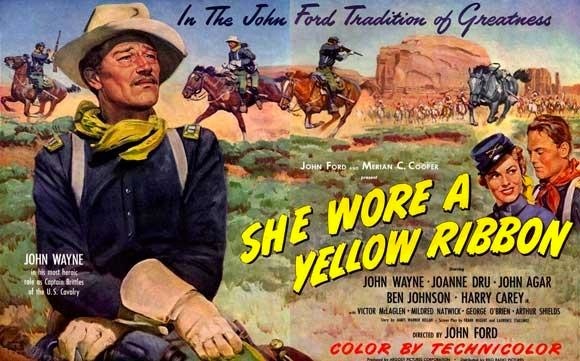 It was written by Frank S. Nugent, who did Fort Apache and She Wore A Yellow Ribbon (both 1948) for John Ford, and who would later write The Searchers (1956) and Gunman’s Walk (1958). The Confederate prisoners fighting Indians plotline was based on something Nugent came across while researching Yellow Ribbon. It was originally announced with Victor Mature as the star. Someone brought this picture up the other day, and I wanted to give it a little attention. It sure deserves it. It also deserves a DVD release. 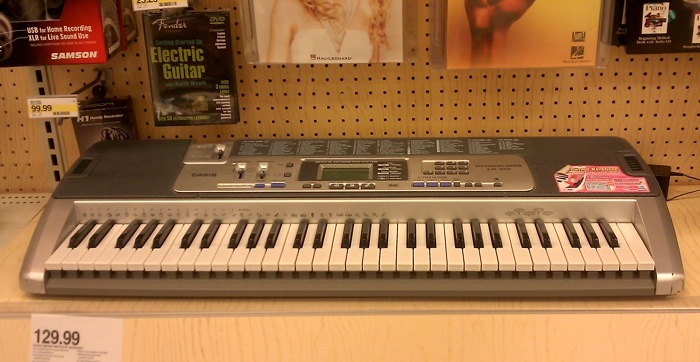 Was at our local Target store this weekend, and I heard some very familiar music being played on a Casio keyboard off in the distance. Right away, I knew it was from a film. Getting closer, I decided it was from a John Wayne picture. And finally, I realized it was “She Wore A Yellow Ribbon,” one of the pre-programmed tunes Casio loaded into this thing (#43, to be exact). 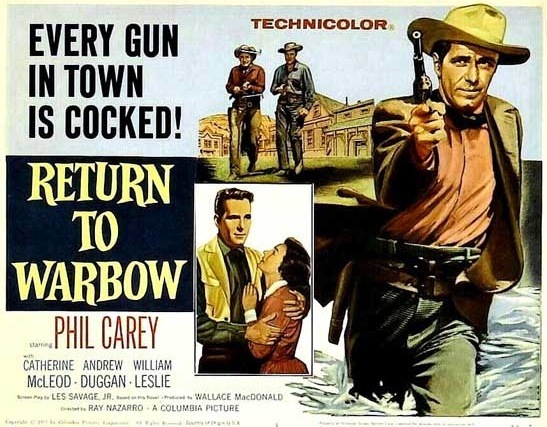 Have to admit, I’ve never seen Return To Warbow (1958). But looking at this still, I can’t wait to track it down — which is a pretty simple task, since it’s on sale right now from Warner Archive (widescreen, I believe). 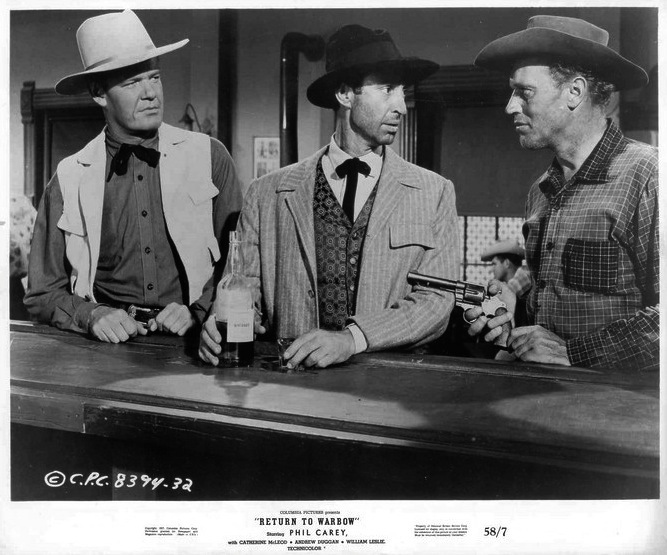 Left to right, you’ve got Andrew Duggan, James Griffith and Robert J. Wilke — a Dream Team of 50s Westerns character actors. Add to that Phil Carey, Jay Silverheels and Paul Picerni. It’s directed by Ray Nazarro, who excelled at this sorta medium-budget thing. And it only runs 67 minutes! The more of this type of picture I see, especially the ones from Columbia and Universal-International, the more I like them. Blake Lucas brought this to my attention — thanks, Blake! — and I’d be a terrible host if I didn’t bring it to yours. Encore Westerns (which I can’t stop calling The Westerns Channel) will run Reprisal! (1956) Friday at 11:15AM ET/PT. Been a while since I’ve seen it, but I remember it as a lean, tough cowboy movie that says more about racism than a dozen message pictures — without forgetting to give us plenty of action. 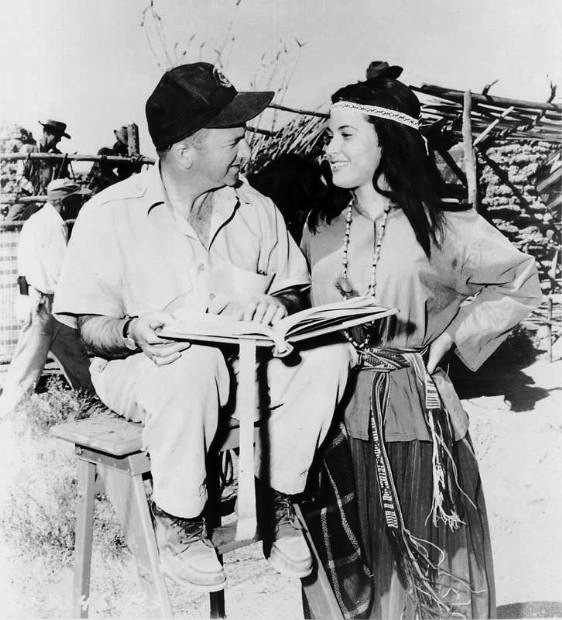 George Sherman demonstrates, yet again, why he should be recognized as a major Western director. 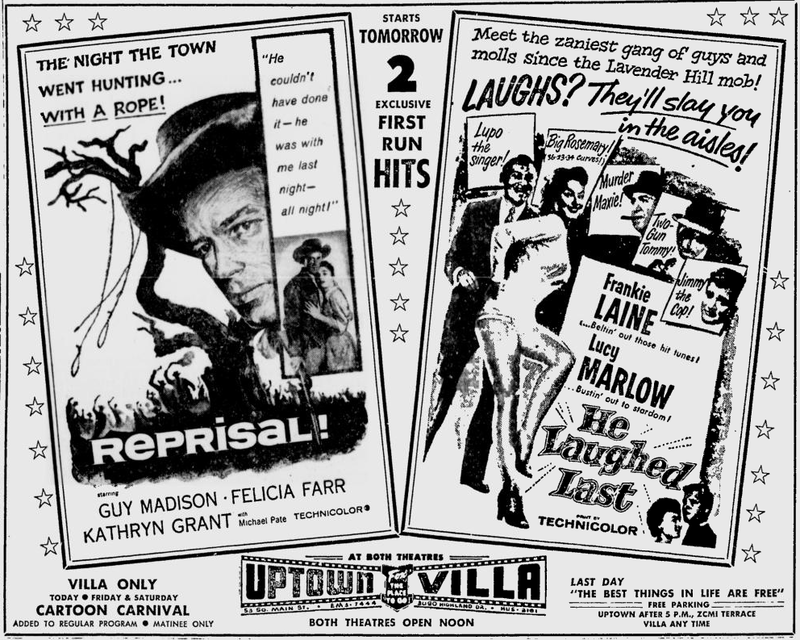 Guy Madison is quite good, as are Felicia Farr, Kathryn Grant (seen above with Sherman) and Michael Pate. This is one Columbia desperately needs to make part of their DVD-R program. This afternoon, I had the pleasure of speaking with Mr. Maury Dexter. 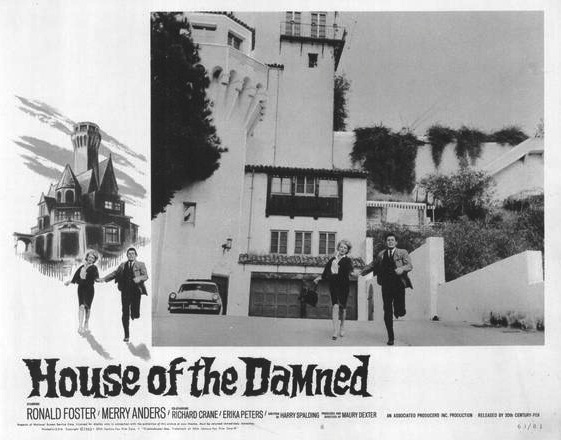 Along with great stories about the making of the Regalscope films, Forty Guns (1957) and many others, I learned that the house from House Of The Damned (1963, which Dexter directed) is still standing. Anybody know the address? Some of this interview will be posted soon. 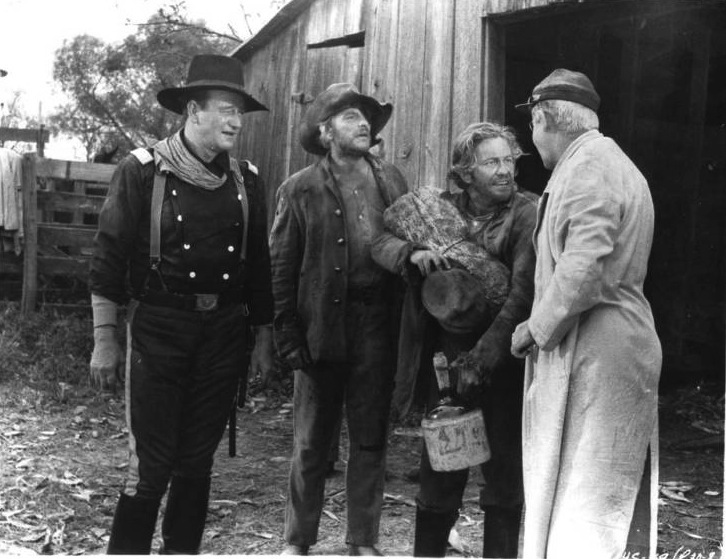 His Western stories were so good, I completely forgot to ask what it was like working with The Three Stooges.